Are you a business owner looking to connect your business to thousands of listeners? With broadcast, you can reach millions of your loyal followers exactly where they are 24 hours a day, 7 days a week, 365 days a year. Radio advertisement can get you in front of the most customers sooner than any other medium, with a better return on investment. 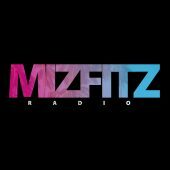 Let us know how we can help you reach those customers at sales@mizfitzradio.com or going over to our contact page and dropping us a message. A 30 second add will be created to the specifications of the client. i.e. the message they are trying to portray to their customers, the sound and feel of the ad. 30 second add in constant rotation for the duration of the subscription. 2. Logo with a direct link to their business’s website. Your Radio ad will be converted to a social media video of the same length and shared to be shared across our social media platforms. Your social media video will be marketed to the growing social media audience while targeting your specific audience.